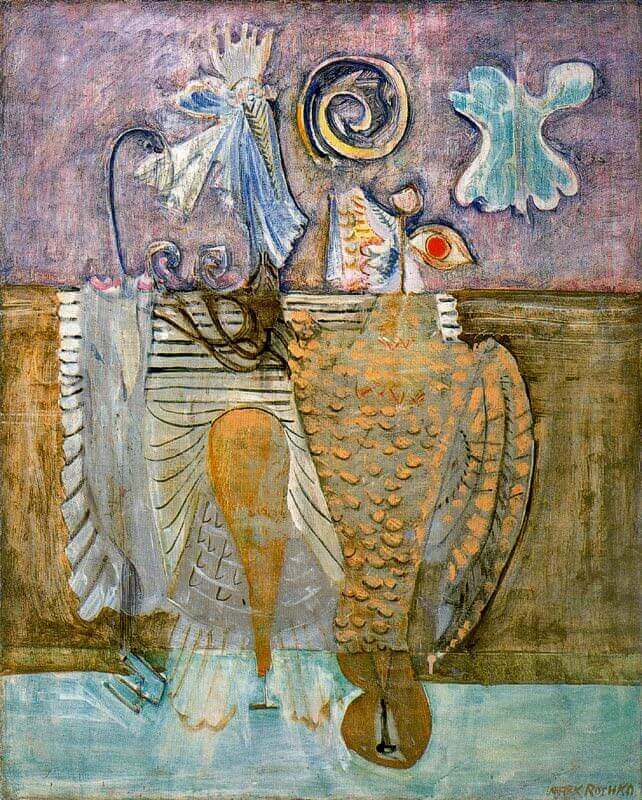 During the 1940s Rothko's imagery became increasingly symbolic. In the social climate of anxiety that dominated the late 1930s and the years of World War II, images from everyday life - however unnaturalistic - began to appear somewhat outmoded. 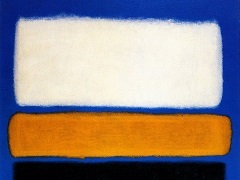 If art were to express the tragedy of the human condition, Rothko felt, new subjects and a new idiom had to be found. He said, "It was with the utmost reluctance that I found the figure could not serve my purposes....But a time came when none of us could use the figure without mutilating it."